Photo View Postcard. Multi. Cardstock. 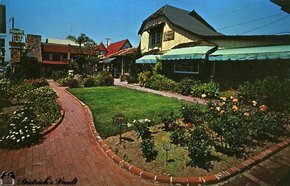 This glossy, full-color, photo card is titled, "Art Center, 1476 S. Coast Hwy., Laguna Beach, California. It is marked, Photo by L. E. Lang, L. E. Lang Publications, Laguna Beach, Calif. It has his logo. Unused.